There is an emergency of massive proportions for villages in Southern Ethiopia that are already impoverished and vulnerable. Over 80% of Ethiopians rely on rain-fed agriculture for their daily lives. This past year of drought has caused devastating losses. Now, extensive and damaging floods in Ethiopia have come just after the worst drought in decades. El Niño weather patterns have left many Ethiopian families needing immediate aid in order to survive. Food is a fundamental pillar of basic survival, and today grain and cooking oil are priorities for local families. We are joining Ethiopia and partner aid organizations by directly giving grain and cooking oil to families in Hadiya and Halaba zones. Your $50 donation will feed one Ethiopian family for one month during this critical time. Better days are ahead, but we can’t get there without your commitment. Your donations will move quickly as our expert team is already preparing food support as part of a community-wide coalition of emergency relief. Families need food support immediately. The floods in Ethiopia have displaced roughly 5,000 families in Hadiya and Halaba in the last month. Farmers had just planted their fields for a long-awaited harvest, and now their farmland is under water and crops are ruined. Rains have destroyed household materials, drought-weakened livestock have perished in great numbers, and food supplies have been lost. This is a crushing crisis. Give to our general fund so communities remain strong, healthy, and together as they work to rebuild what was lost. $50 feeds one Ethiopian family for one month. Thousands of families need your help immediately. While we respond to this crisis, know that Roots Ethiopia’s ongoing work in communities is making a real difference for families and children. In Hadiya and Alaba, we continue to support the core project work to help families and communities stay strong as they recover from the crisis. In addition, projects in Kembata Tembaro and Wolayta continue to grow and strengthen. 175 children enrolled in our school sponsorship program. Over 500 small businesses (IGA’s) created for families. 12 regional schools improved with resources and 4 more in development. 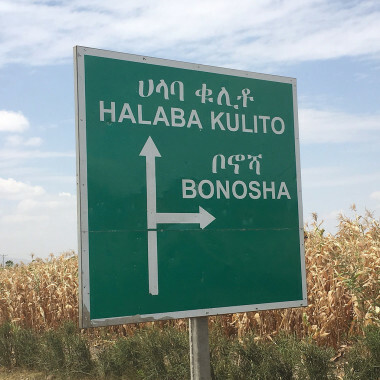 *Note: The El Niño effect this year is the strongest on record, and the scale of the crisis has meant Ethiopia and partner aid organizations have made extensive efforts to help during this ongoing crisis. Flooding from belg (Spring) rains has displaced over 120,000 people countrywide. Nearly 1/2 million people have been affected in some way, and an estimated 200,000 people have lost their homes. Somali, Oromia, SNNPR, Afar, Amhara, and Harar Regions have been particularly affected. Continued rains are expected, and more damage is sure to follow (Source: UN Office For the Coordination of Humanitarian Affairs).